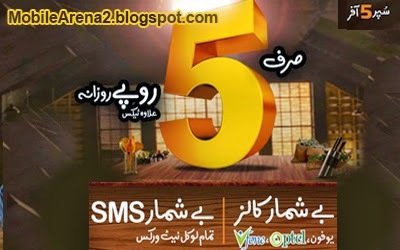 Ufone presents "Super 5 Offer"
Ufone launched another amazing offer for its customers. This offer is presented with the name "Super 5 offer". It gives consecutive 12 hours in a day in which you can use your minuts and SMS for only 5 rupees (excluding taxes). It provides you liberty of making Long Calls and sending SMS from 5:00 AM (morning) to 5:00 PM (evening) in a day. The sms facility is for all mobile networks in Pakistan whereas the Call making facility is for Ufone , PTCL landline and Vfone. It is, no doubt , an astonishing offer by the company that will bring you in complete control of your communication needs. 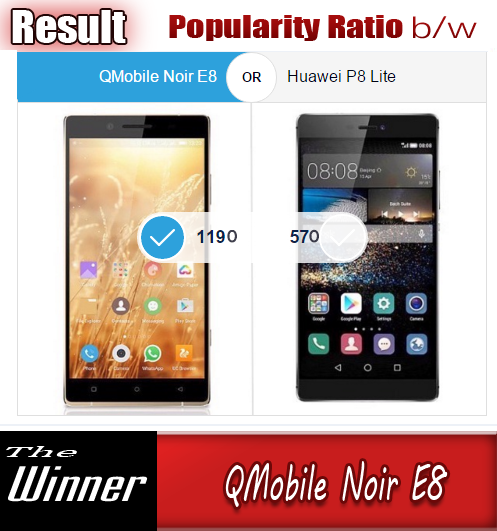 With this offer you have a loaded mobile phone for Calls and SMS for consecutive 12 hours in a day. You need not worry about balance decrease or any other tension during 5 AM to 5 PM. But be aware behind the word "Unlimited" spoken by the company there are only 100 minutes and 100 SMS between the mentioned period of time. on excessive use, additional charges will apply as per your data plan. Activation of this offer will actually costs you 6 Rupees for one time. An additonal 14 paisas (included tax) will also charge on every call that will make under this offer. "With Super 5 Offer at incredibly low charges of Rs. 5+tax per day, U will be able to make all the calls you want to any Ufone, PTCL and Vfone number, from 5 AM to 5 PM during the day. So, now no matter what your communication need, we have it covered by letting U make unlimited calls on, not just mobile, but also landline and wireless numbers across Pakistan." The offer can be subscribed to by dialing *5252#, multiple subscriptions in a day are also possible. How to Check remaing minuts and Sms. To check balance of remaining minutes and SMS, dial *707#. It will costs you charges of 20 Paisa + tax on every balance check. Only the customers who have "UWon" package on theri Ufone sim can activate this offer . If you are running any other package plan on your sim , first convert your plan to UWon by dialing *5252# .